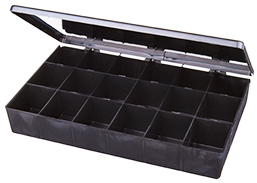 4-3/16" x 3-1/2" x 1/2"
8-1/4" x 4-1/2" x 1-3/8"
10-1/2" x 6-3/16" x 1-9/16"
1-11/16 " x 6-1/8" x 1-9/16"
1-11/16" x 3-1/16" x 1-9/16"
1-11/16" x 2" x 1-9/16"
Ideal for SEM sample holders, samples, small parts and assemblies. 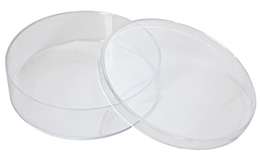 Ideal for parts, small samples, SEM specimen mounts and SEM specimen holders. 12-3/4" x 8-1/2" x 2-1/8"
2-1/16 " x 8-1/2" x 2-1/8"
2-1/16 " x 4-3/16" x 2-1/8"
2-1/16 " x 2-1/16" x 2-1/8"
Clear plastic, hinged, styrene boxes. 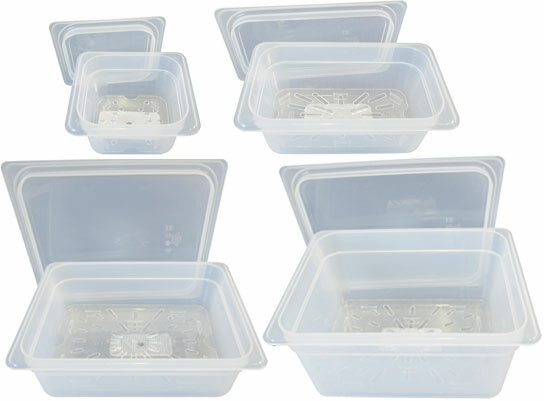 1-5/8" x 1-5/8" x 3/4"
2" x 2" x 1-1/8"
2-9/16" x 2-9/16" x 3/4"
2-9/16" x 2-9/16" x 1"
3-1/16" x 3-1/16" x 1"
2" x 2-7/8" x 3/4"
2" x 2-7/8" x 1-3/16"
2-7/8" x 1-3/16" x 3/4"
2-7/8" x 1-3/16" x 1"
2-7/8" x 1-3/16" x 1-1/4"
2-7/8" x 2" x 1/2"
2-7/8" x 2" x 3/8"
2-7/8" x 2" x 5/16"
Suitable for 3 x 1" (75 x 25mm) glass slides. 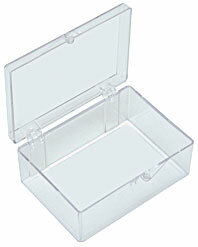 Sorting boxes made from strong, clear polypropylene which has good resistance against many solvents. 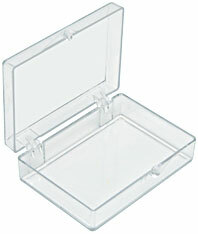 Hinged lid with two plastic clasps in front to secure the lid. 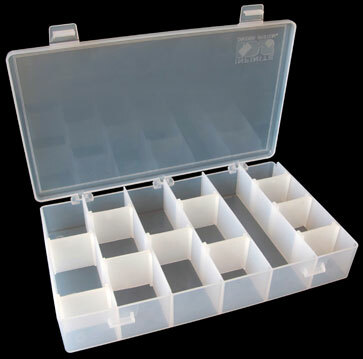 Ideal for storing and storing SEM mounts, samples, components, parts or metallographic mounts up to 1-1/2". 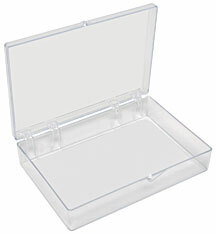 Available with one, five or six compartments. 5-compartment box inside dimensions: 1 compartment of 3-1/2" x 6-1/2" x 1-1/2" (8.9 x 16.5 x 3.8cm) and 4 compartments of 7" x 1-11/16" x 1-1/2" (17.8 x 4.3 x 3.8cm) with 9 small and 3 large dividers. 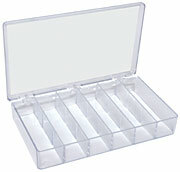 6-compartment box inside dimensions: 6 compartments of 6-1/8" x 1-11/16" x 1-1/2" (15.6 x 4.3 x 3.8cm) with 10 dividers. Large, 4 partitioned storage box with unique Infinite Divider System where the dividers can be placed with increments of 1/16” (1.6mm) in the compartments to create the storage space needed. 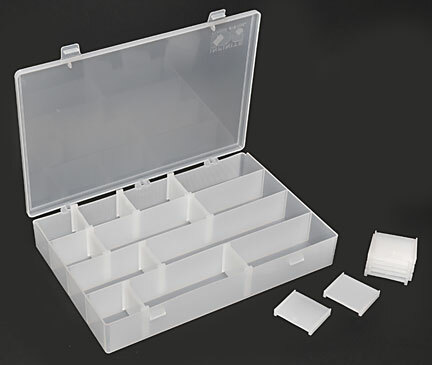 Ideal for storing, sorting and organizing SEM mounts, SEM holders, preparation tools, specimens, parts, components, small assemblies etc. 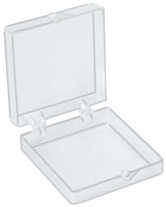 Can also be used to store metallographic mounts with diameters up to 2" (50mm). 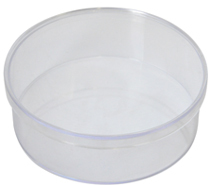 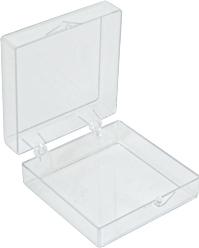 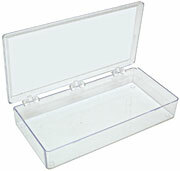 Made from clear polypropylene which has good chemical resistance against many solvents, enables locating the items before opening the lid and is tough, impact resistance material. 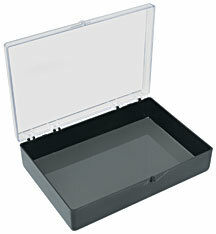 Box has three hinges and two positive locking latches to secure lid. 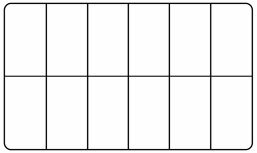 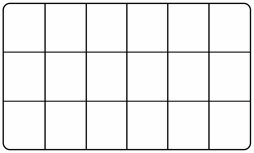 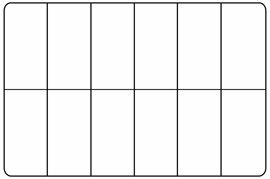 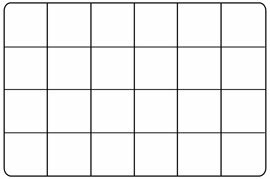 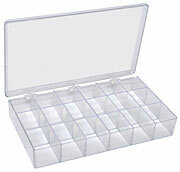 Provided with 16 dividers. 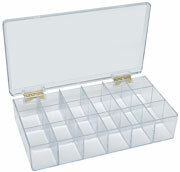 Storage cabinet for 5 boxes (#139-925) is also available, see below. 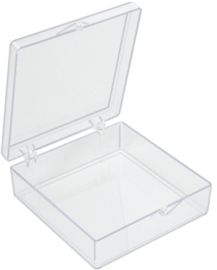 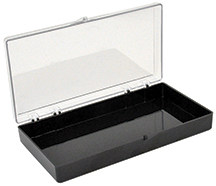 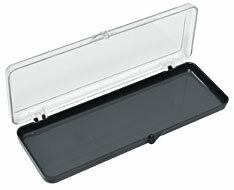 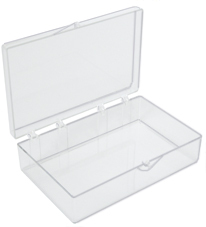 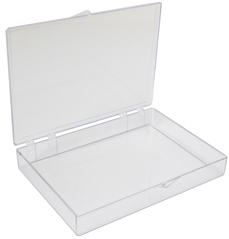 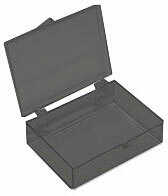 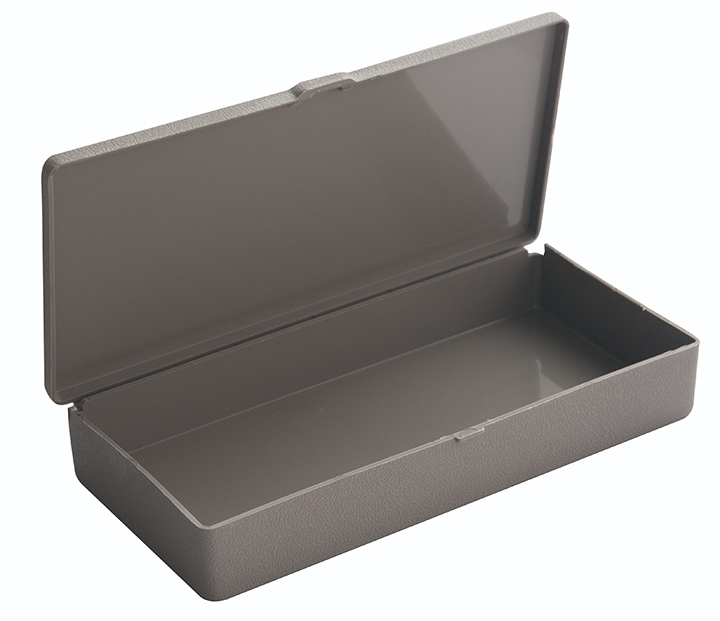 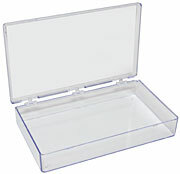 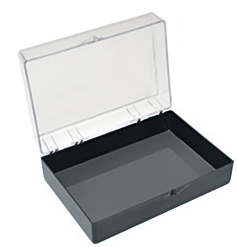 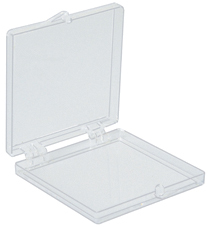 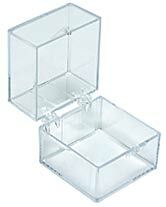 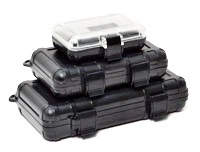 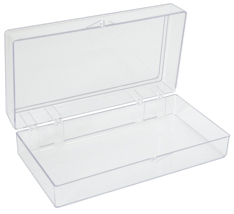 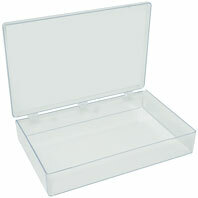 The PELCO® single compartment storage box is made from clear impact resistance polypropylene. 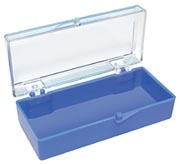 This sturdy box has molded on hinges and latches. 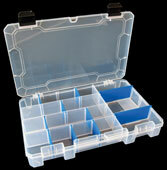 Ideal for storage of larger parts, tools, sample or instruments. 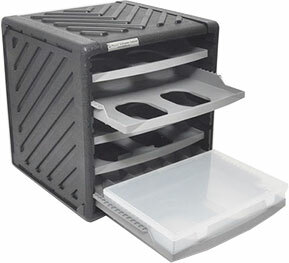 The PELCO® single 8" plate box can be stored in the PELCO® 5 drawer storage cabinet #139-925, see below. 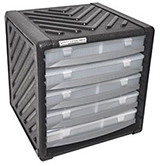 The PELCO® 5 Drawer storage cabinet has five drawers which each holds a #139-900 polypropylene storage box with adjustable dividers. 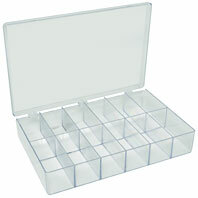 The boxes can be removed from the purpose designed drawers. The drawers are only functional with either the #139-900 boxes. 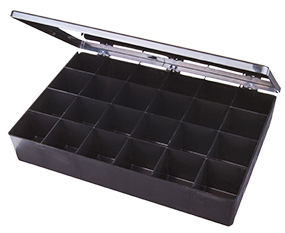 The robust and sturdy PELCO® 5 drawer storage cabinet is constructed using High Density Polyethylene, the drawers are made of impact propylene. 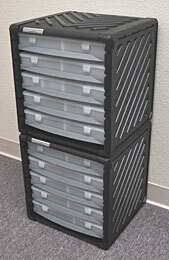 The cabinets are stackable with interlocking grooves. 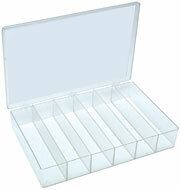 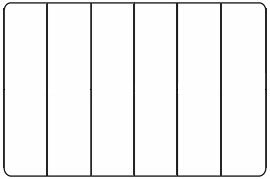 Dimensions of the PELCO® 5 drawer cabinet are W15-1/2" x D14-1/2" x H16" (39.5 x 37.8 x 40.6cm). 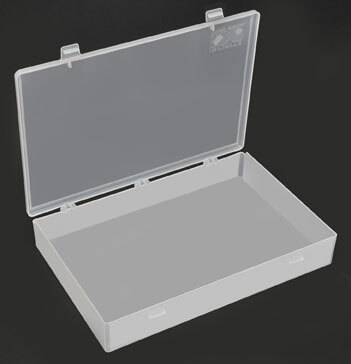 See above for dimensions of the #139-900 Polypropylene Storage Box. 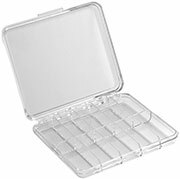 They are stackable with interlocking grooves. 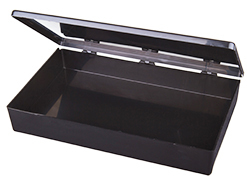 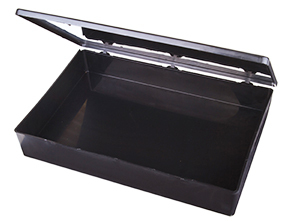 The black conductive boxes are available in two sizes, medium and large, with and without compartments. 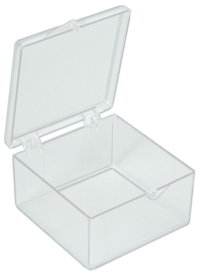 Hinged lid with three hinges. 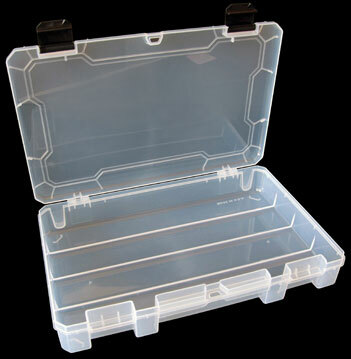 Material is ESD safe HDPE with carbon mixed in to provide conductivity to dissipate static charge built-up. 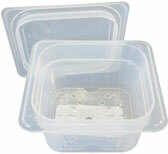 Protects sensitive electrical components or reduces static charges which might occur with non-ESD safe plastic boxes. 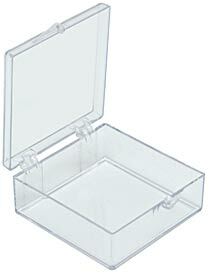 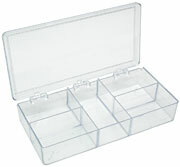 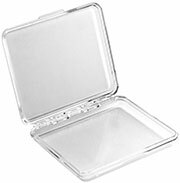 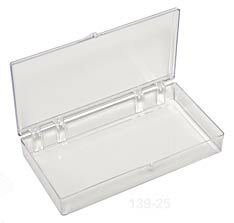 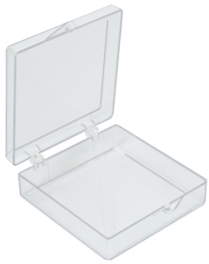 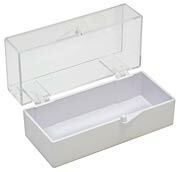 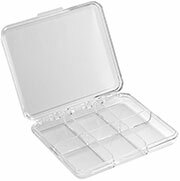 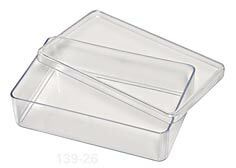 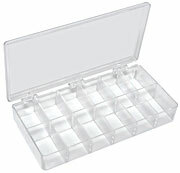 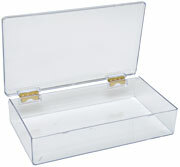 Versatile single compartment storage boxes for dissection instruments dental tools, or similar items. 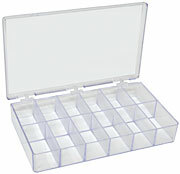 Excellent for individual student lab material storage. 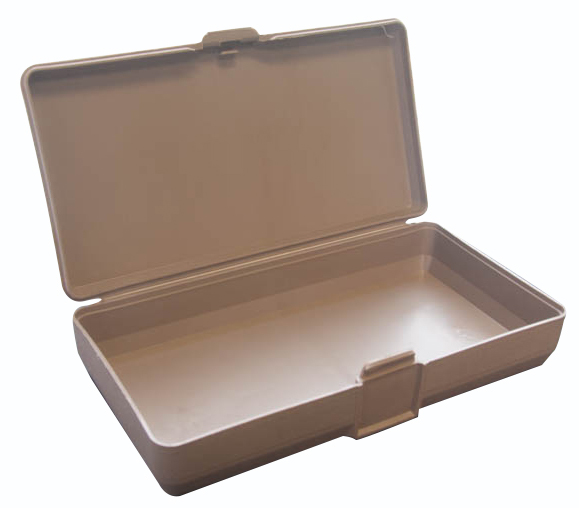 Polypropylene, taupe color. 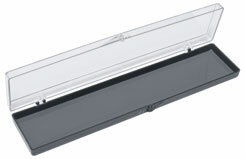 Living hinge and positive snap lock closure.